One of the things I’ve loved so much about planning trips to see soccer in England is this: As I have continued to write blog posts all about it, I have started to get emails from other people who want to go see a game in England. In fact, I now offer consulting services to help you plan your trip as well! Great blog and really fun information. I’d be really grateful if you could tell me why there appears to be no soccer matches anywhere during the week of October 10, 2015. 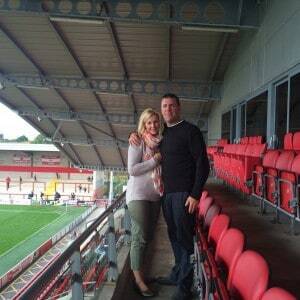 We are going to Manchester/Liverpool area and would love to see soccer. Any ideas for sporting events during that time?? 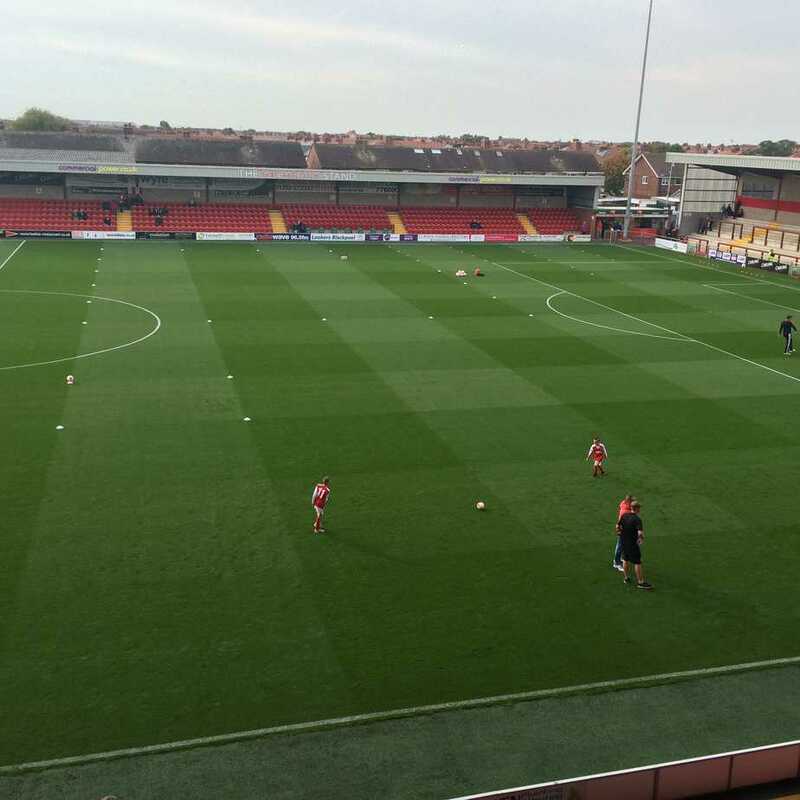 The pitch at Fleetwood Town FC. The week of October 10 is an international break. There will be three days of Euro qualifiers, and England will be at home on the 9th against Estonia. I bet you can get tickets to that one, and if you have trouble, let me know. I have a friend there who’s so dedicated he just saw their game in Slovenia! So, that week there won’t be games in the Premier League or Championship, but League One and League Two are playing. For me, this is the real football anyway, with stadiums that hold 10,000 people or less. Among the teams at home that week, which are somewhere near where you going, are Bury, Fleetwood Town, and Oldham. Wigan at Bury, a little north of Manchester. They are only 23 miles apart, so it should be a good atmosphere. Wigan was in the Premier League and won the FA Cup two years ago, so they have fallen far and fast. Bury have played in the same stadium since 1885, though it was all redone since 1993. You might also look at Fleetwood Town, which is on the coast next to Blackpool; their nickname is actually the Cod Army! They are playing Coventry City. It looks like a pretty modern stadium, but … it’s on the coast. Seems there would be good fish and chips. Oldham Athletic is at home, just on the outskirts of Manchester. They are playing Scunthorpe. What I like to do is pick my seats strategically, to be fairly close to the visiting fans. I always check out FootballGroundGuide to see where they sit, then go to the team’s website to buy tickets, with the goal being to get myself either right across from them (to hear them best) or close to the intersection between the two fans. There’s always some good banter going on! 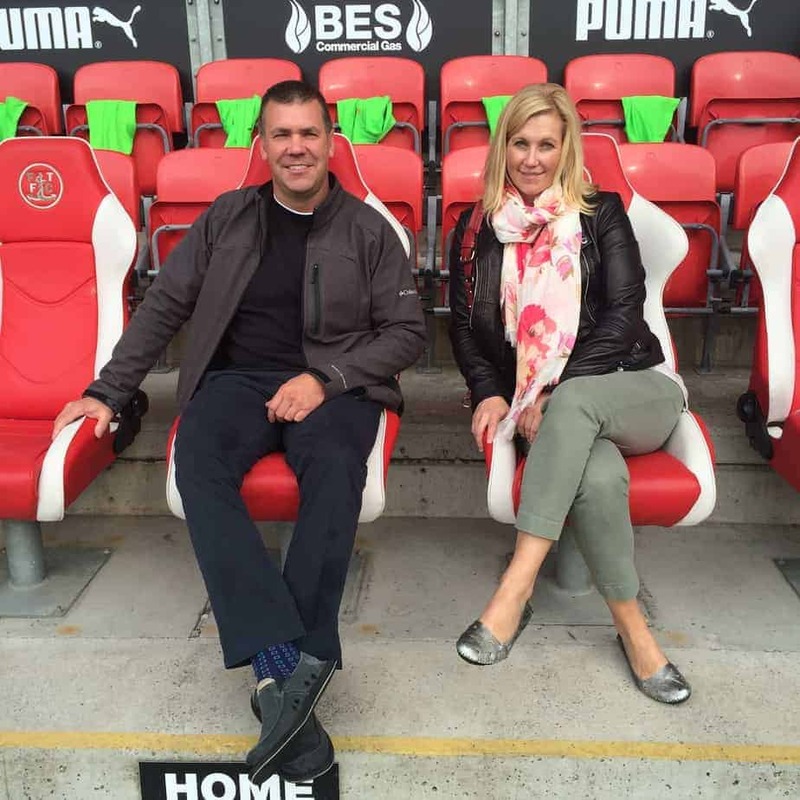 Dean and his girlfriend, Nancy, got to visit the pitch and sit in the manager’s seat. 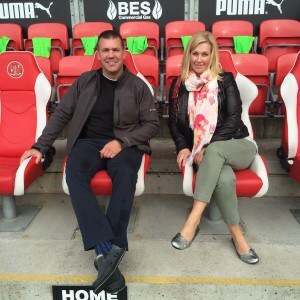 Soccer at Fleetwood Town was a fantastic experience!! They had a new manager starting that day, so he came in and gave a bit of a speech as we had opted for the VIP package and balcony seating. The staff took us down to the field so we could get pictures, including in the manager’s chair. It really was a great time!! Fleetwood Town is a great place to see a game as the parking is very close on the street anywhere close to the stadium, and is free and good. The food at the VIP part was excellent along with the beer. Dean and Nancy in their balcony seating outside the VIP area. We left with about 20 minutes of the game remaining and went to Blackpool to take in all the sights there. We had a great time. We went to dinner at Legends at the Sands Venue, right beside the Blackpool Tower. We watched Gary Barlow, Lady Gaga, Cher and Queen play. They were all excellent performers and a wonderful evening. Prior to that we went to the top of the tower which was quite fun as well. 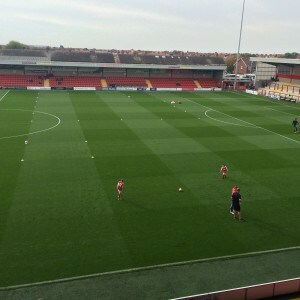 Fleetwood has an interesting history; they came out of bankruptcy in 1997 and have since risen from part-time-player status to League One, the third tier of English Football. Right now they are towards the bottom of the table, so let’s hope they stay up. For me, this is what it’s all about — not because I get to help somebody have an adventure (though I do love that) but because here is somebody willing to travel for a League One game, checking out the local attractions, and having a great experience. It’s not just about the footy, after all; it’s about travel, open-mindedness, sharing fun times with your partner, the whole thing. 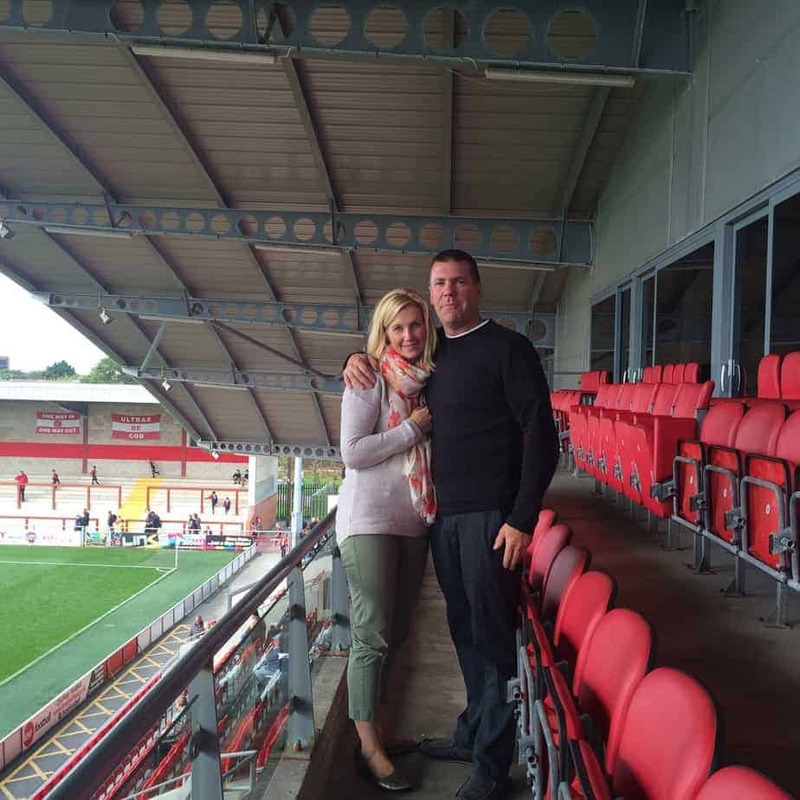 Are You Looking to Attend an English Soccer Game?